Today, we are celebrating an anniversary of sorts on Winslow Radio. Five years ago, the first incarnation of what is now Fresh Hats Tight Beats began in Zach Matthews' bedroom in Memphis, TN. After all these years, this project has grown from a singular song into the largest collection of tunes from any of our Winslow projects. To celebrate, we will be playing all Fresh Hats Tight Beats tracks, all day. The first time any music was tagged "Fresh Hats Tight Beats," it was simply the name of a song Zach and I created together. 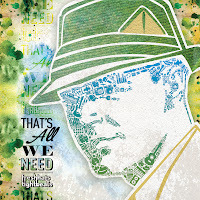 Obviously, we were on a mission for tight beats, but additionally, Zach was/is an avid collector of fresh hats. 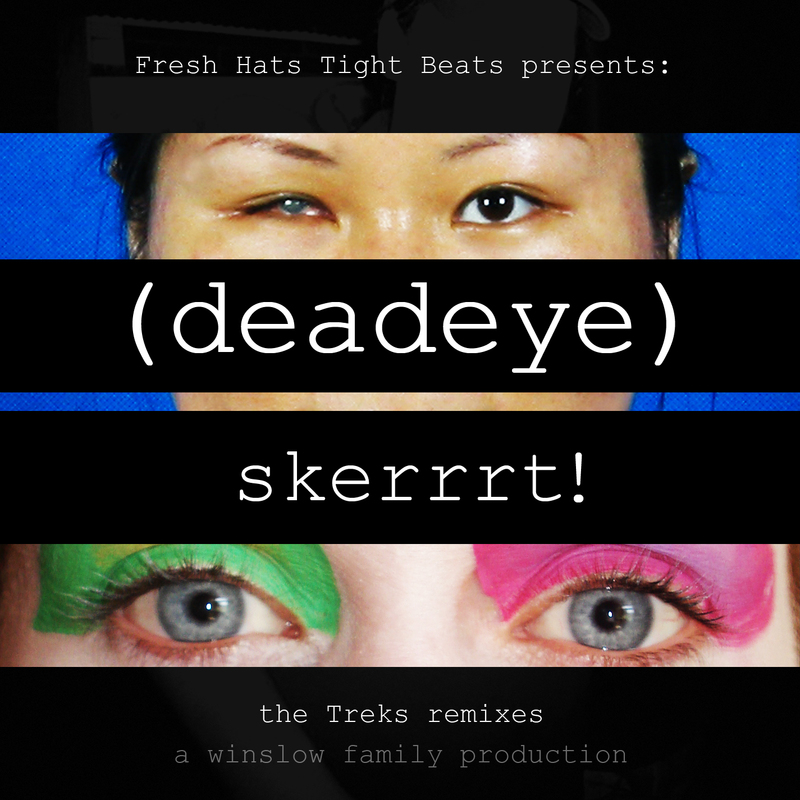 Once the song was complete, there was simply no other option than to name this song "Fresh Hats Tight Beats." That song made its rounds online and in various CD players, but it was never officially released because we really had no formal outlet for the beats we made together. Until much later. Two years down the line, Zach and I had become roommates along with Jacob Greer and Leigh Buck in Nashville, TN. The catalyst for the first Fresh Hats Tight Beats album, "Summer Sessions," was the imminent relocation of Tim Santos and Natalie Hogan to Denver, CO. They had already packed up and moved out of their apartment in Murfreesboro, TN and Tim was crashing with us in Nashville off and on for a few days. When he came through to stay, we would stay in the beat lab making tracks, simply because we knew that our time to collaborate with Tim was limited. We were in quite a creative tizzy as new tracks just kept popping out and each of us would trade out taking the helm for the beat making sessions. It was also a great boon to us that we had many of our Winslow family musicians around all the time. While we were creating the foundation for tracks, we were able to add collaborators like Jacob Greer on guitar for the tracks, "No Place Like Home," "Our Universal Dialect (O.U.D. )," and "Just a Beat." We also got contributions from Juan De Winslow on rhodes for the tracks "Smooth Fool" and "Flat 5ive Remix." My favorite collaboration for this album came on "The BAT" where we had a small wind ensemble with Rick Laverty on tenor sax, Juan de on alto sax, and Jeremy "Tuerto Willie" Fleming on flute. The first official Fresh Hats Tight Beats album, Summer Sessions, dropped on July 17th, 2009. It was such a low-key project for us at the time that to release it, we simply uploaded a zip file to archive.org and left it at that. Even the title of the album was a bit convoluted as we had little idea of what this project really was or what it would become. 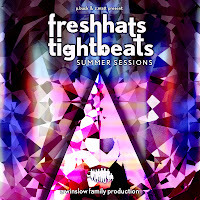 The first official title was the Winslow Family Band presents "Fresh Hats Tight Beats" - Summer Sessions. To us, this was simply a mix-tape or something like it. To our surprise, the release picked up a lot more attention than we ever really imagined it would. 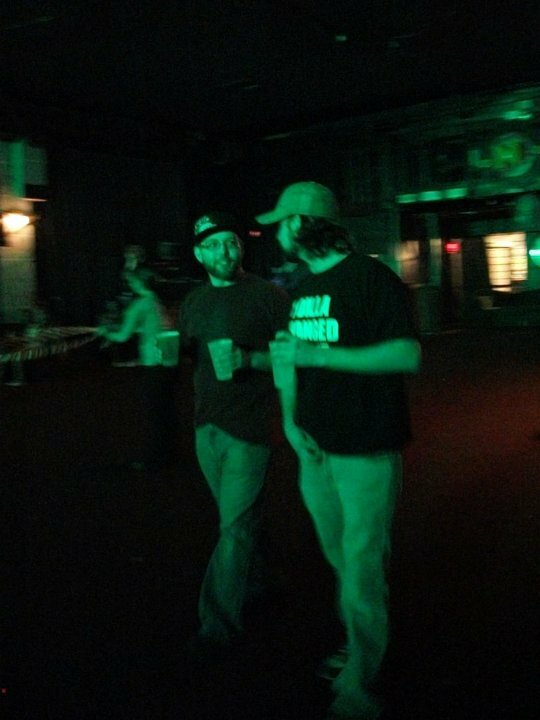 Eventually we were asked to play some shows in Memphis as Fresh Hats Tight Beats. By the time we were working toward doing live shows as this outfit, one of the major contributors to the initial release, Tim Santos, had already moved out West. This was always his plan, and we never really thought any farther than trying to make a few tunes before he moved away. Without Tim, we had a pretty tough conundrum about whether or not we should even do shows and furthermore, how to actually execute playing live. Our run as a live outfit was short-lived as Leigh and I eventually moved out west, leaving the Fresh Hats Tight Beats project in limbo. Tim and I reunited in Denver and began to experiment with the second electronic band from the Winslow collective, The Biz. 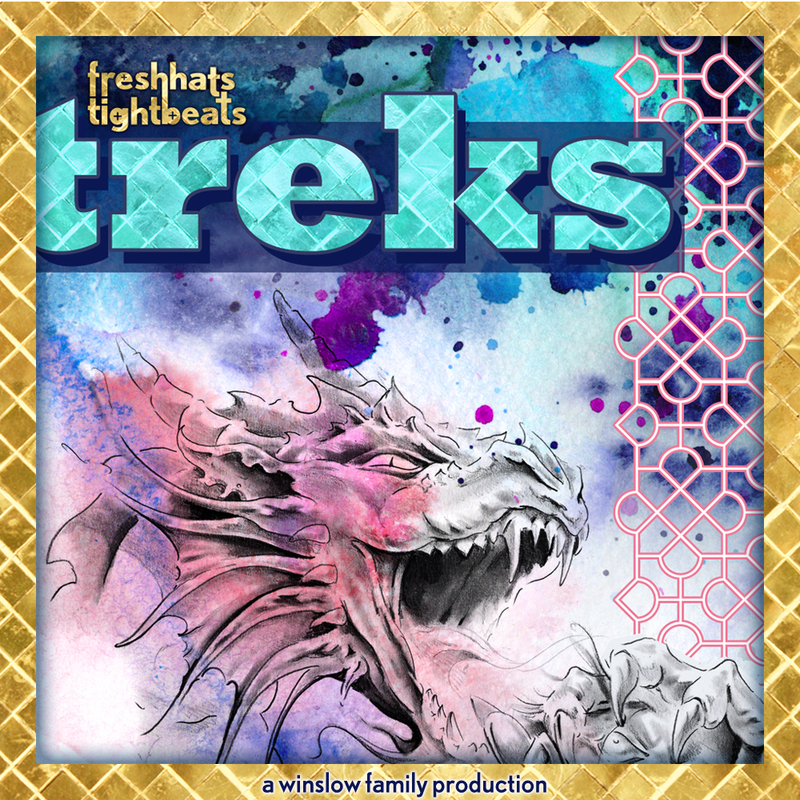 It seems that the Fresh Hats Tight Beats experiment spawned a whole new era for the Winslow Family and beat-making became the main focus of many of musicians in the collective. For a while, FHTB looked to be a one time thing. But Zach came to visit in Denver and a beat binge was imminent. Over the New Year's holiday from 2009 into 2010, we all celebrated together and used every spare minute to make a new collection of songs that became The ReIntroduction EP. 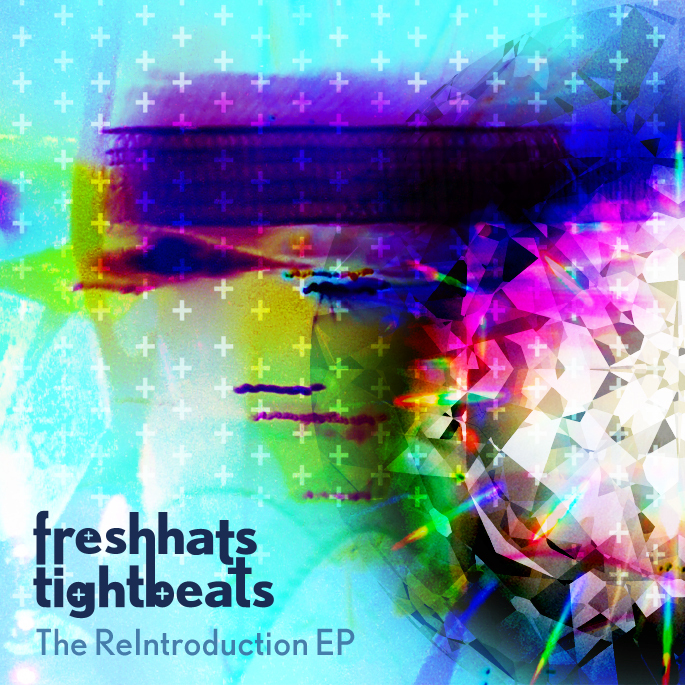 This was our "reintroduction" because it was the first time we were making a set of tracks that we knew would be released under the Fresh Hats Tight Beats name as a group. That definition might seem confusing, but remember, before this album, we had never planned to play live, and we had never intended for our previous release to become anything more than a mix-tape. So this was our attempt to take the FHTB name and say, "Hey, here we are! This is it." The same team of Zach, Tim and myself were the chief composers of all the tracks on The ReIntroduction EP, but once again we still had the great opportunity to add the contributions of our Winslow Family. You'll hear samples of our friend Taktix aka Grisly Atoms rapping on "Winslow Alley." Also, our trumpeter friend, Dave Benedict can be heard improvising over a live beat mixing session on "Fresh Start." We had created a new definition for FHTB as a live act, but the production element of the project remained within the hands of the same contributors as the first two releases. Once again, over the New Years holiday from 2010 into 2011, Zach came to visit us in Denver and we focused on putting together another FHTB album. Matt had wanted to be involved, but he couldn't make it out to Denver for New Years, and the three of us pretty much insisted on the same binge-like production methods as the previous albums. And so, on January 11th, 2011, we released our third album, Treks. Treks was the longest album to date from FHTB with eleven songs and the first album that we released on bandcamp.com. Before this, the releases were only available for download as a full album on archive.org. We did have one collaborator, Jimmy Catchings, who offered up the prominent sample on "Crushed Grapes." This track was named in Jimmy's honor, and we later turned this beat into an alternate version for Jimmy to rap on, entitled "Why You Running?" The entire album was written, recorded, mixed and mastered within about five days. Thus the inspiration for the song "Making Them Tracks." We were literally staying up all night, making them tracks. 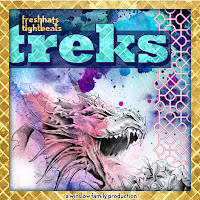 Treks marked the last time that FHTB used samples on any of their tracks. After this release, their new music consisted of only original material. At the same time, we released all of our previous music as free downloads on bandcamp.com, including a few exclusive singles. The most notable of these singles, "See the Chain, Know the Biz," won a top-ten spot on ReverbNation's Windows 7 competition out of seventy-seven submitted tracks. There was a sizable prize that went toward a small tour for The Biz, Fresh Hats Tight Beats, and The Winslow Family Band who traveled together through Mississippi, Tennessee, Arkansas, and Missouri during 2010. Another notable for Treks was the subsequent release of a remix album by Brian Ahern a.k.a. (deadeye) entitled skerrrt! This album consisted of eight tracks that were all derived from stems of the recordings on Treks. 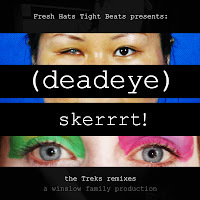 FHTB made all of the stems available for public download and encouraged producers to remix the songs. We were shocked to see that not only did Ahern make a remix, but he remixed nearly the entire album. 2012 was a big year for FHTB. We released our forth album, That's All We Need, featuring all four members of the group together for the first time on a studio album. In late 2011, Matt Nigro moved to Denver, setting the stage for another FHTB album of a whole new transfiguration. That's All We Need had many differences from our previous albums. We actually spent a few months putting the songs together and refining them until we finally pinned ourselves down in December 2011 to finish the album. There was a lot of internet collaboration that occurred between Denver and Nashville between October and December as we worked to build this album up in a whole different way. This album was the first time FHTB worked out compostions without any commercial sampling. These tracks carried the same funky, hip-hop sound as the other albums, but we produced all the samples and sounds ourselves. 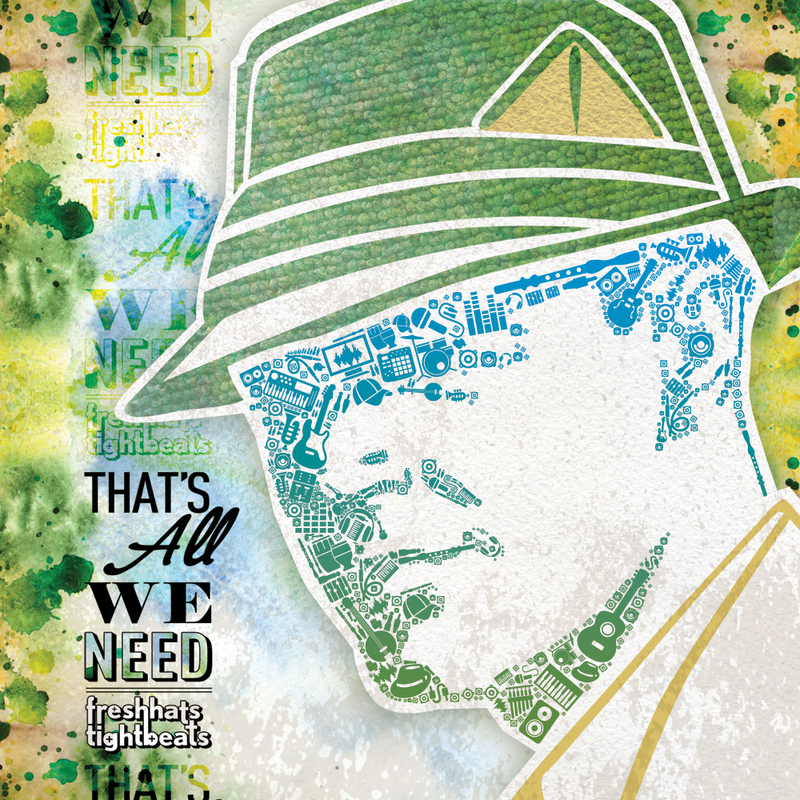 That's All We Need featured Nick Monks as a collaborator and performer on guitar and banjo. With the success of this release, we felt encouraged to try to push our music to a new medium, so we set up a kickstarter to try to fund a seven-inch 45rpm of our favorite tracks on the album. We set a goal of $1100 to fund the pressing of the vinyl as well as screen printing supplies to make the album covers ourselves. On March 27th, 2012 we successfully funded our kickstarter project, setting into motion the pressing of the first Winslow vinyl ever. With the creation of the FHTB Vinyl, Tim and I started a new record label, Nematode Records. Since the pressing of "Course Clear!" b/w "Cornbread," we have followed up with a second seven-inch from Those Shadow People and have a vinyl from The Biz coming before the end of the year. 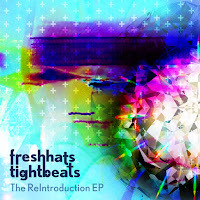 What the future holds for Fresh Hats Tight Beats is still somewhat uncertain, but if the past is any representation of what's to come, we're sure that there is still plenty more in store from this outfit. Thanks for all of the support from all our family, friends, and fans over the past five years. We look forward to many more years of creativity as Fresh Hats Tight Beats. Tune in to winslowradio.com today to hear all of our albums in rotation all day. And stay fresh, y'all.